Thank you for considering me as your agent! For your convenience, ​I offer you a FREE concierge level of service that will guide you every step of the way to the perfect Disney vacation. I'm happy to make all of your arrangements, or you can help me create plans along the way. Whatever you decide, I will do my best to make sure you and your family enjoy the most magical and memorable vacation of your lives. Oh yeah, and I throw in a little extra pixie dust of my own to make your trip extra special! 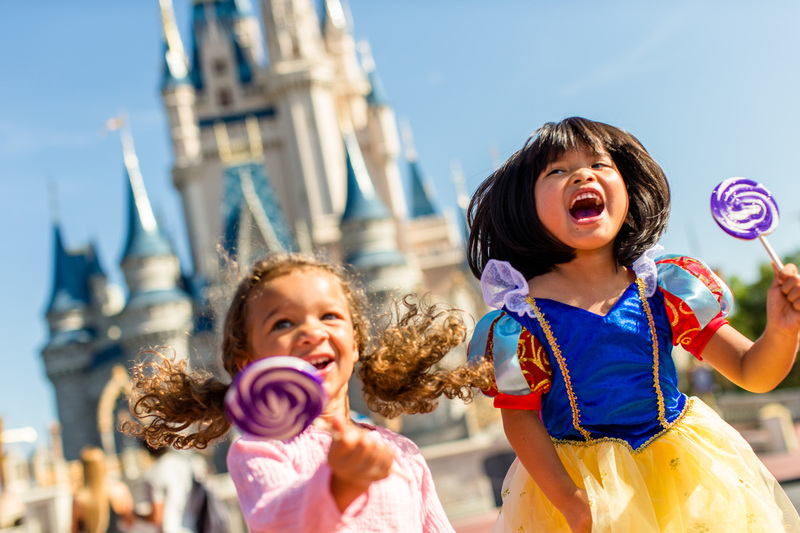 To learn more about the Disney destinations available, please click here. If you already know which Disney location you are going to, you can request a quote. There is no obligation and the quote is free. You will never pay any booking fees with Fairytale Journeys because ALL of our services are FREE! That's right, you won't pay anything extra for my services. In addition, I am also able to help you book airline reservations to go along with your Disney vacation. Let me take care of your planning and answer all of your Disney questions, including those about dining, FastPass+, Magic Bands, and so much more so that you can sit back, relax, and enjoy your time with your family! Sit back and let me take care of your dining reservations for you. You'll give me input into what you're looking for, and I will do all the research and booking for you. I'll do my best to get you and your family exactly what you're looking for. You will never miss out on any promotion or discount when booking with Fairytale Journeys. If a promotion comes out after you have booked, I will take care of applying the promotion to your reservation if possible. No hassles for you, just peace of mind and not having to worry!